This coming Thursday, September 3 at 9 pm and on Saturday at 10:00 am and 4:40 pm. 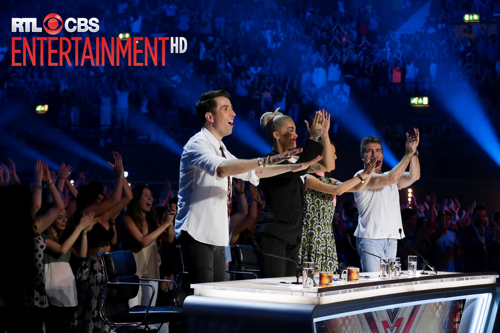 The X Factor UK is EXCLUSIVE on RTL CBS Entertainment HD. Available on SkyCable channels 53(SD) and 196(HD), Destiny Cable channel 53, Destiny Cable channel 53, Dream Satellite channel 17 and Cablelink channels 37(SD), 313 and 800(HD). 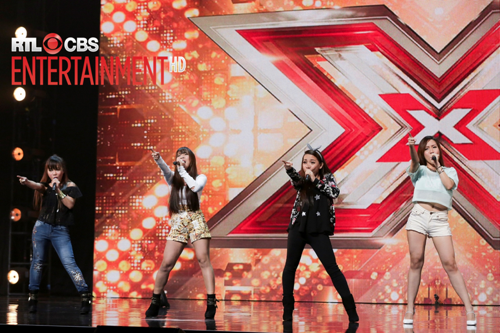 With over 2 million views on Youtube and buzz on social media around the world, 4th Power, the all-Filipino girl group, have gone viral after their spectacular performance on The X Factor UK that “blew the roof off of Wembley Stadium” over the weekend! For those who missed the season premiere or would like to again watch the episode where the girls had all four judges on their feet, tune-in to the regularly scheduled encore broadcasts of The X Factor UK exclusive on RTL CBS Entertainment on Thursdays at 9pm and on Saturdays at 10:00am and 4:40pm. Mylene, Celina, Irene and Almira Cercado aged 19-27, did a fantastic rendition of Jessie J’s hit Bang Bang for their audition on the first episode of the latest season of The X Factor UK. Seemingly demure before the music kicked in, according to judge Cheryl Fernandez-Versini, they turned into “bad girls” referring to the attitude and performance the ladies gave on stage. Judge Rita Ora called them “minute monsters” who had the passion, the voices, the attitude and even went to say that she wanted to be their sister. Simon Cowell called this audition one of the best he’s ever seen. 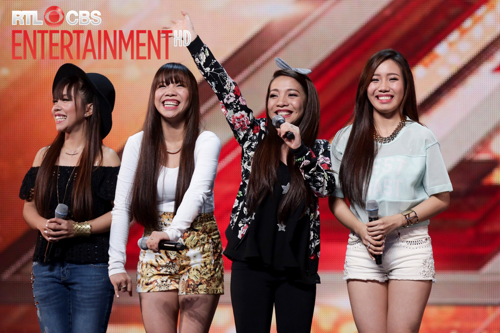 This all-Filipino girl group moves on to the next round of The X Factor UK. The X Factor UK airs first and exclusive on RTL CBS Entertainment HD as live via satellite on Sundays and Mondays at 10:30 am with a primetime encore at 9:00 pm. The weekly episodes repeat on Thursdays at 9:00 pm and on Saturdays at 10:00 am and 4:40 pm. RTL CBS Entertainment HD is available on SkyCable channels 53(SD) and 196(HD), Destiny Cable channel 53, Dream Satellite channel 17 and Cablelink channels 37(SD), 313 and 800(HD). With over 2 million views on Youtube and buzz on social media around the world,4th Power, the all-Filipino girl group, have gone viral after their spectacular performance on the X-Factor UK that "blew the roof of the Wembley Stadium" over the weekend! For those who missed the season premiere or would like to again watch the episode where the girls had all 4 judges their feet, tune-in to the regularly scheduled encore broadcasts of the X-Factor UK exclusive on RTL CBS Entertainment on Thursdays at 9 pm and at 10 am. The X Factor tour, want to know more about the latest concert's dates tickets and other.Go! !